Overview: The largest independent packer of premium honey in NW USA, which sells 19 varietals of honey in packaging ranging from 2oz food service packs to 48,000lb containers asked Campbeltown Consulting to provide insights, connections and recommendations for selling honey to the natural products industry. 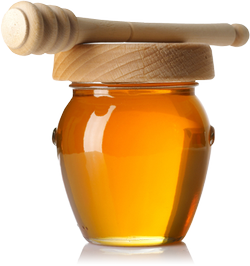 Opportunity: In order to develop a sales strategy that the client could execute, an understanding of honey - its versatility and functionality – and the turbulent honey market was essential. The challenge was to engage stakeholders across the industry spectrum and translate those conversations into a platform for sustainable and profitable growth. Solution: Customer research can generate valuable insights. A series of stakeholder surveys revealed a two pronged concern about the growth in natural calorie free sweeteners such as stevia plus a legitimate fear about the continuation of cheap, inferior quality honey imports. Campbeltown Consulting translated this hesistancy into a ten point sales strategy. Collectively, it helped the client to expand into fresh, previously unexplored markets. Overview: A major grocery chain was proposing to grow sales of Naturally Preferred, their premium natural/organic brand – in a post-recessionary, cost conscious consumer landscape. They needed a blueprint for change. Opportunity: Due to a limited sku presence and restricted marketing funds, name recognition of Naturally Preferred among core consumers was negligible. 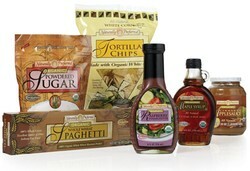 The brand was unable to differentiate itself in a crowded, ‘mission conscious’ natural foods market. Solution: Given limited marketing/PR funding, attention turned to the business fundamentals - product portfolio, distribution and in-store availability. Victor worked across departments to create a strategic blueprint for action. An aggressive product development plan was crafted to target high traffic perishable and snack categories. Distribution was expanded from West Coast to National. Metric scorecards were crafted to track and ensure store participation was 95-100%. And internal marketing collateral was created to evangelize the 300,000 employees. These efforts resulted in a 65% jump in sales within the first 6 months versus the previous year plus improvement in brand recognition based on loyalty card data analysis demonstrated success of the plan. 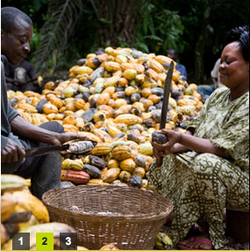 Overview: A leading U.K. based nonprofit organization had a compelling vision and strong visibility in the fast growth Fairtrade sector but a limited assortment of certified products. Opportunity: Growing interest in social equity and international trade, using certification and labeling to facilitate awareness and change had stalled. Brand recognition and revenue was tied exclusively to two crops: Coffee and Bananas. This limited the scope to effect sustainable economic change and underserved the growing interest from a cross section of farmers in multiple source countries. The challenge was to explore opportunities for the brand. Solution: Extensive consumer and trade research revealed that the client scored high in brand equity but low in innovation and customer engagement. We identified an immediate market opportunity for additional primary products (fresh fruits, vegetables, sweeteners) and related secondary products (dried fruits, juices, sweets, baked goods). This led to mapping of the supply chain and creating dialogue with customers to identify their quality requirements.